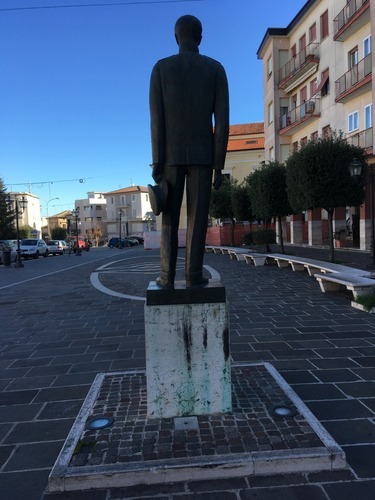 It was made by Nicola D’Antino in 1967, and was inaugurated on the 25th of may of the same year. 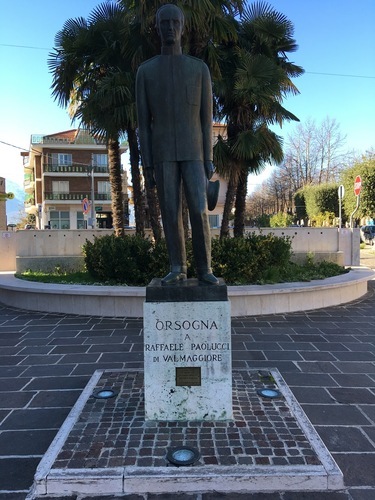 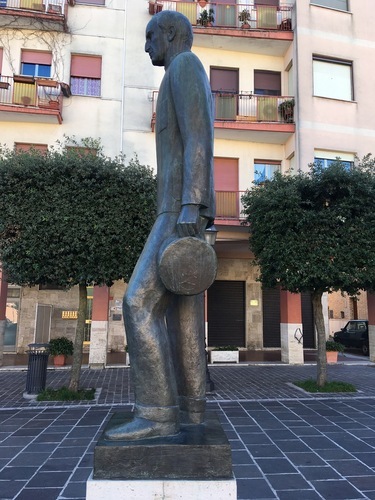 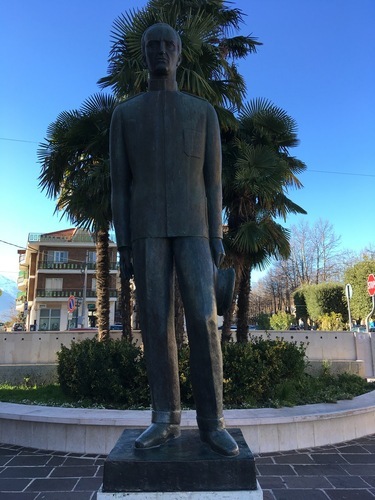 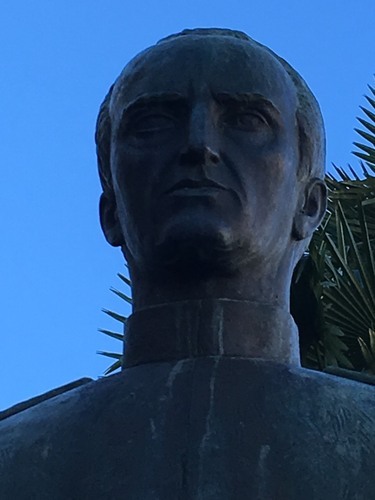 This bronze statue represents him upright in uniform, with a hat in the left hand. 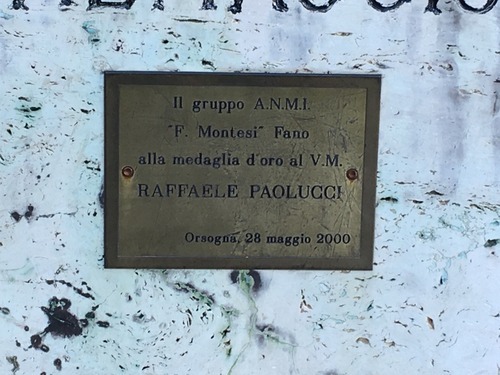 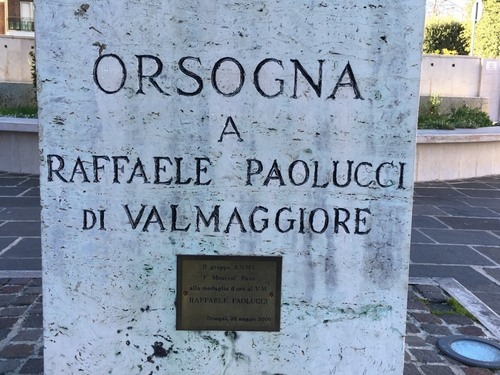 “ORSOGNA / A / RAFFAELE PAOLUCCI / DI VALMAGGIORE"
and also a plaque of the A.N.M.I. 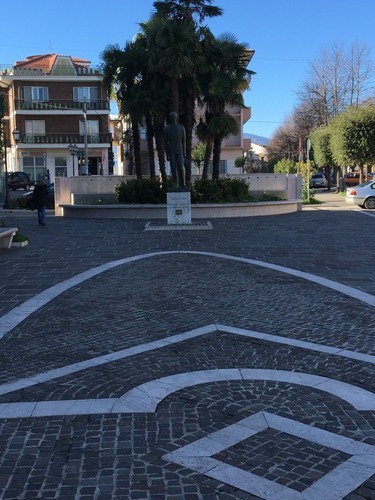 (National Association Italian Sailors).